A project dedicated to contemporary lifestyles, where technology plays a decidedly significant role. 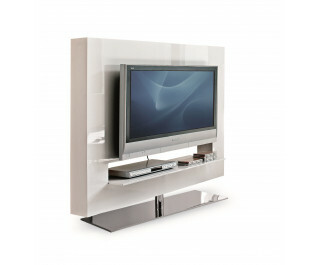 The Panorama TV unit has a rectangular shape and stands out fot its lateral DVD storage compartments. The frame is available in lacquered glossy white or black at the front. The base is made of chromed steel.